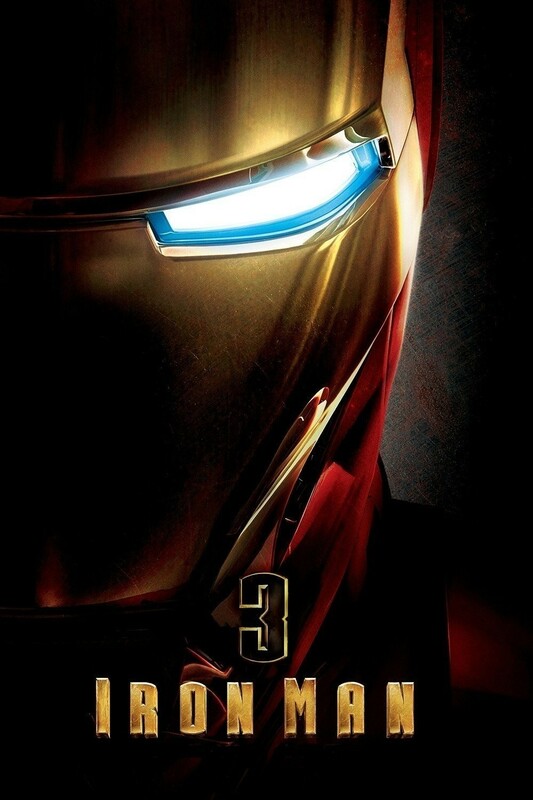 I watched Iron Man 3 recently, mostly because I like the sarcastic humor Robert Downey Jr. usually brings to his roles. Some might argue that as a result, he pretty much plays the same character every time, but personally I find that it never gets old. At least, not yet anyway. This is one of those movies though, where unfortunately I don’t think there’s a good movie poster that can really sum up the story well. Usually I try to insert into my movie review entries a poster that I feel does provide a good snapshot summary, but in this case, I thought a more generic-looking one would fit the bill better. The Iron Man movies are actually not my favorites from Marvel. Aside from Downey Jr. in the leading role, I’ve found that I don’t personally find the stories to be memorable. The only thing I remember from the other two Iron Man movies is the part where Tony Stark gets that magnetic generator placed in him to keep shrapnel from getting to his heart. At some point, I realize, I should probably re-watch the other two so I can better compare them to this latest installment in the franchise. Seeing as how I hardly remember anything from the first two movies, I can’t really say whether or not I thought this movie was better or worse in comparison to its predecessors. However, I can say that when speaking about the story in this movie specifically, it was a little too all over the place for my liking. It can be argued that the fleshing out of characters was done in the first two movies, so there’s no reason for additional character development in this one, but sometimes I think filmmakers should try to add more anyway, each time, and just assume that someone someday might just start with 3 instead of 2 or the very first one just because in the event that does happen, I feel like the person would be more likely to look into the earlier films if the sequel was fairly impressive. Not to say that this movie wasn’t. Visually speaking, I feel like that’s an area where the Iron Man films tend to do well in. Maybe it’s all the technology; I think Stark has plenty of gadgets and shiny things that bring out the tech geek in all of us. I’ve heard a lot of criticism against Gwenyth Paltrow and her acting, but I actually have always liked her as Pepper. While she may not be one of few actresses that I actually like (and in that list are—in no particular order—are Keira Knightley, Jennifer Lawrence, Dakota Fanning, Zooey Deschanel, Emily Blunt, Emma Stone, and Rachel McAdams), but as Pepper, I give her a pass, mostly because I can’t really think of anyone else that I think could really fit the roll as well. I did enjoy a few of the action sequences in this one. Particularly the one where Stark’s house pretty much gets demolished. (I definitely cringed and felt bad for the beautiful car.) My second favorite had to be all the scenes where the extra suits came in to play. Sadly they weren’t featured all that much; personally I had been expecting a lot more where the armor was concerned. Finally, if you’re patient enough to sit through the credits, the after-credits scene is actually a decent length and I thought it was pretty hilarious (and cute). I’d say more, but that would be giving it away. I felt like this sequel was more on the mediocre side of things. Visually, I enjoyed it. Story-wise, it was a bit lacking in my opinion, and it also had a couple plot twists that I just found odd. Not necessarily in a bad way—just a few moments that had me blink, think “all right, I suppose,” and then roll with it. This one also had its fair share of predictable moments, though I didn’t mind the child actor here. He kind of grew on me and had me wondering if perhaps Stark will be unofficially adopting him in future. Of course, that idea is probably not even on the radar of the masterminds behind the Iron Man films, but if it did happen I feel like that could be additional comic relief. It’s a relationship I’d imagine would be a lot like how Dakota Goyo and Hugh Jackman were as Max and Charlie Kenton, respectively, in Real Steel (2011). Anyway, phew! Finally managed to complete this entry. This one has actually been in my queue for several days now. Life has been a most effective distraction from my writing. Tags: 2013, Ben Kingsley, Don Cheadle, Guy Pearce, Gwyneth Paltrow, Jon Favreau, May 2013, movie reviews, Paul Bettany, Rebecca Hall, reviews, Robert Downey Jr.
Jessica Chastain doesn’t make your favorite actresses list? Haha, no she does not. That doesn’t mean I believe anyone not on my list are terrible actors/actresses, but she’s just not an actress I feel a personal resonance with. That’s it, we’re breaking up! Hahaha oh no!! Didn’t realize we were attached. Well we can’t all have the same opinion. I’m sure we’re in disagreement about actors too. JGL? I’ve liked JGL ever since he was doing independent films like Manic, Brick, and Mysterious Skin; and then “The Lookout” was the film where I feel like he finally arrived on the scene as a serious up-and-comer with big potential, and he hasn’t stopped honing his craft since, which is why he keeps getting better and better. He was great in “Hesher” and “500 Days of Summer” and I’m looking forward to seeing him in Sin City 2. Another thing I like about him is the range of genres he acts in. He’s always been on my radar since his 10 Things & 3rd Rock days. Yes, I also appreciate his diversity. Don’t try to get on my good side now; we’re still in a fight! Psh. I’ve always been a JGL fan. Like I said, I’m not saying she’s a bad actress. She just isn’t my favorite. I don’t see why I have to change my mind. It’s like arguing why apples should be my favorite when my taste buds only like oranges. It doesn’t mean I think apples aren’t a good fruit, I just personally don’t like how they taste. Okay, okay, you can be my girlfriend; quit begging. Damn it, back to the doghouse you go! Hahaha oh my. So I guess this is 21st century role reversal, eh?